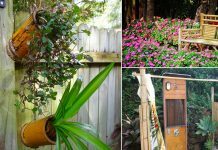 Old toilets, toilet tanks, sinks, faucets, buckets, showers, everything can be repurposed and used in the garden. 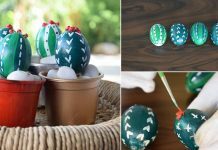 Here’re the 11 bizarre DIY Bathroom Items transformation ideas to follow! This post is about DIYing your toilet items in the garden. 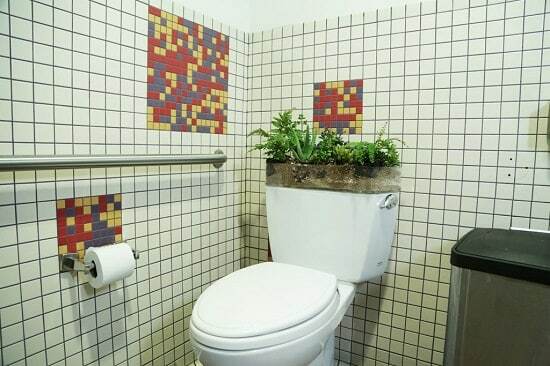 However, this DIY project guides you to create a garden in the toilet. After all, you spend a lot of precious time sitting there. If you’re an Asian origin person: Japanese, Chinese, Indian, Middle Eastern and using squat toilets, you must have toilet pots or buckets. Use the unused ones as planters. We found the idea here! 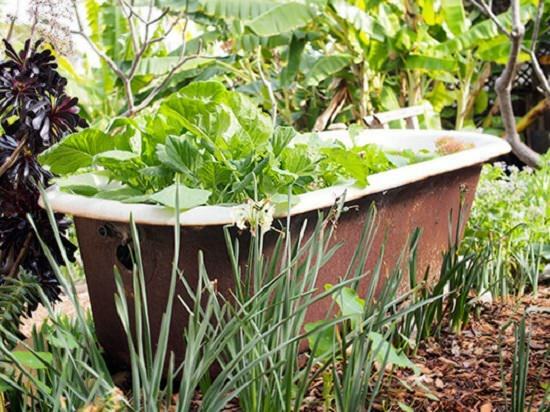 Take out your old bathtub outdoors and repurpose it into a water feature. 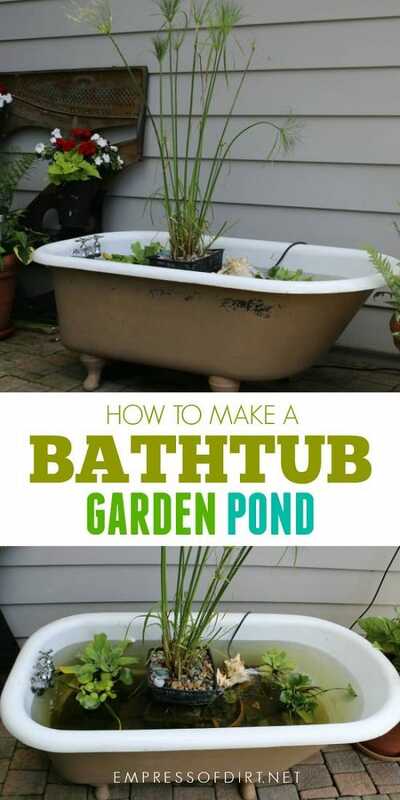 This bathtub pond is easy to make following the instructions at the Empress of Dirt. 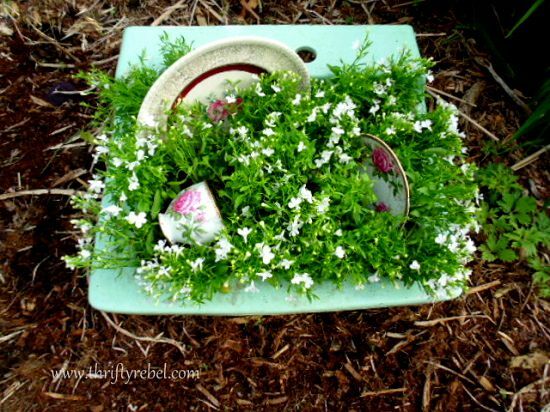 Anything can be a planter, like this upcycled baby bathtub. Visit the Hobby Farms to learn how it’s prepared to grow edible greens like kale and lettuce. 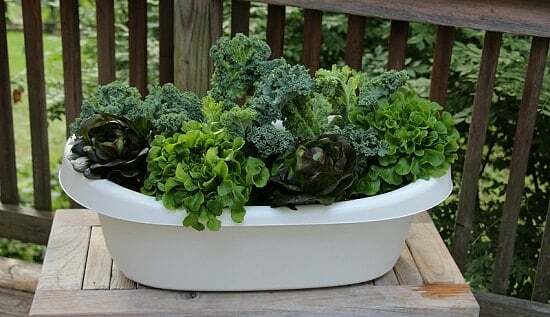 Bathtubs can be a nice raised bed type planters because of their ample space. If you’ve access to an old one, follow one of the tutorials here like this one for growing plants. 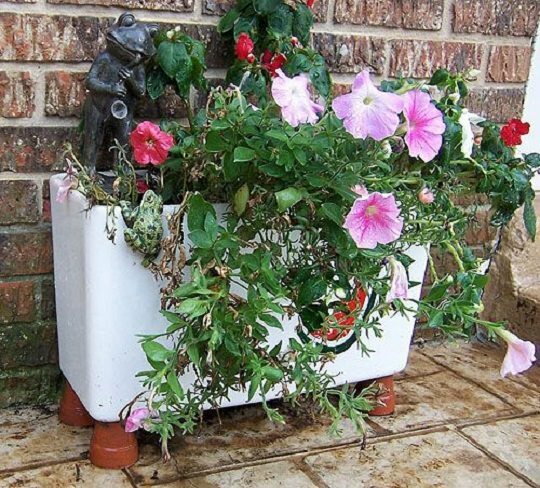 Repurpose an old sink into a planter. To decorate it you can add a dinner plate, cup, and saucer. Visit the Thrifty Rebel Vintage to see the DIY! 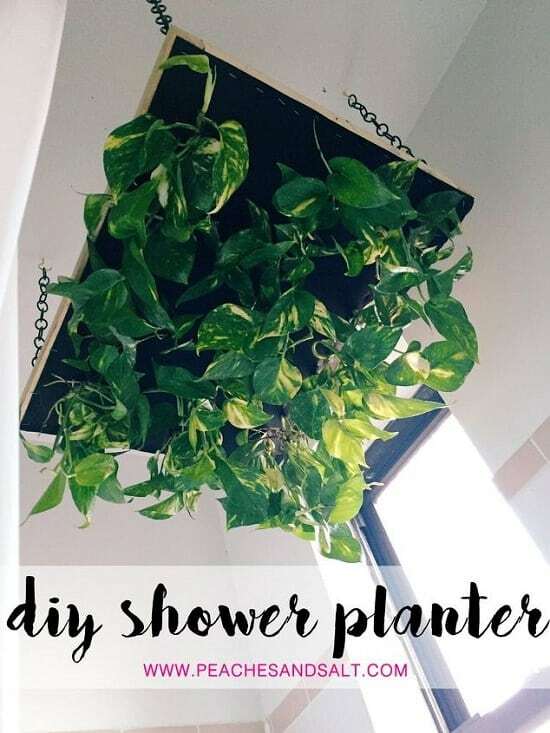 If your gardening obsession is at its peak and you want to grow plants indoors, everywhere, why not try this hanging shower planter idea. The DIY is here! 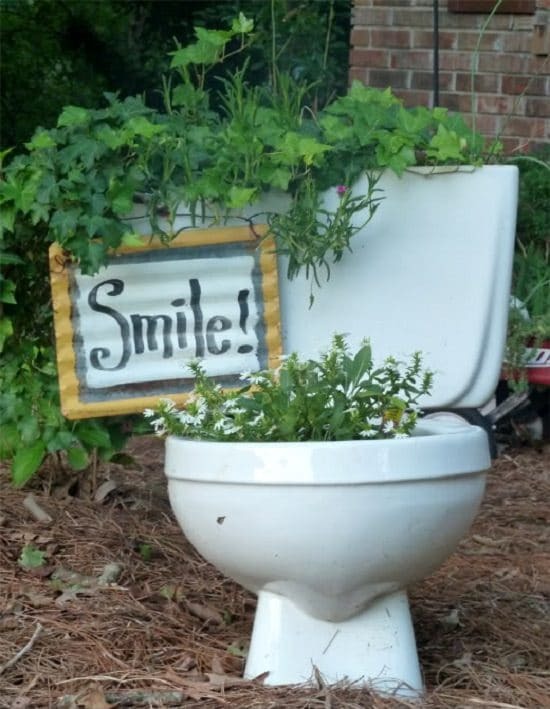 The whimsical gardener in you will be happy if you DIY a toilet planter like this in your garden. 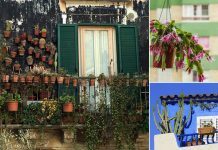 Follow the steps here to complete it, and see the reactions of those who visit your garden. 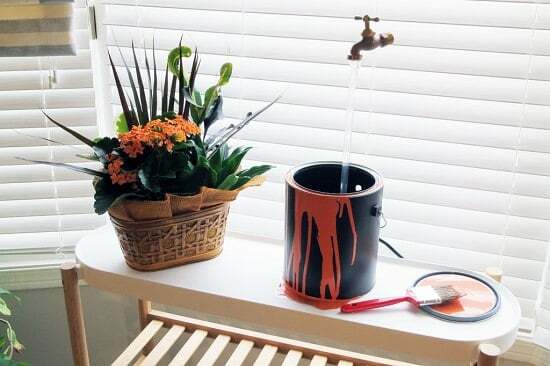 Get an old paint can and unused brass tap and a few other supplies to create this magic floating tap. Visit the Instructables to see the DIY, also, check out this video. 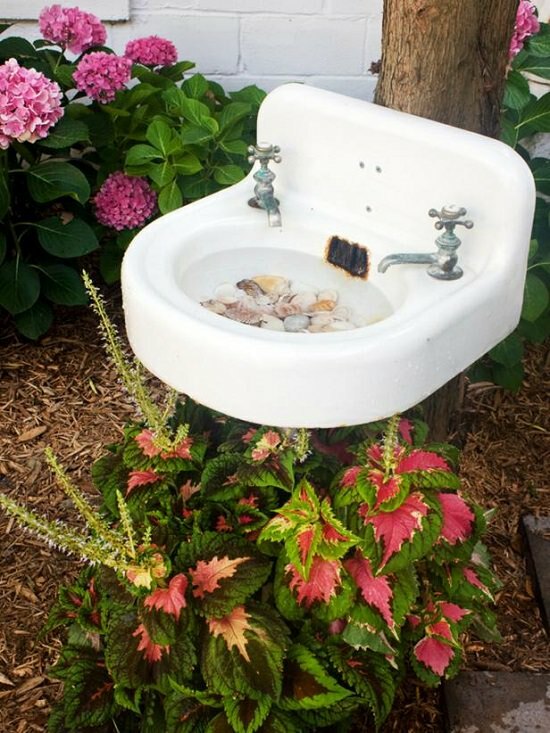 Transform an old wall mount sink into a birdbath for your garden and gift a nice hangout to your feathered friends. The step by step tutorial is available at the HGTV. 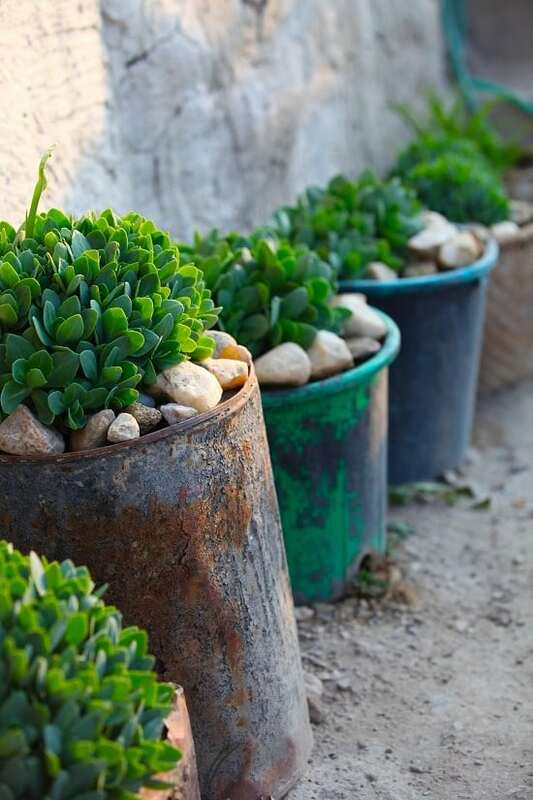 Make a beautiful flower planter out of an old toilet tank after emptying it, use small ceramic pots as stands and grow your favorite annuals in it. Previous article14 Alluring Mason Jar Fairy Garden Ideas You Should Look Now!